Paperback and now Kindle are available on amazon.com! Ever since the Great Meltdown, the most devastating depression humanity has ever seen, in mid-21st century the world has united into one people, one goal, one mighty global country: the World Union. Beyond that, lie the “Rogue States”. Here in the Union, all the issues that nagged and bugged the Western Civilization since the Enlightenment have been radically fixed, replacing old ways with technology enabled new ones, with a new set of human rights and freedoms. But does this “perfect world” hide darker secrets? Phoenix has just been promoted as senior agent of the global police force. She’s grown up inside the Union, and ever since she was a child, she’s trusted its sanctums. But when she is assigned a rare high-profile murder just one week on her new position, she enters an investigation that compels her to question everything she’s ever believed. Her grasp on reality is now being tested by some powerful forces. As she struggles for her sanity and survival, a deeply buried inner strength emerges. While she may not realize, she possesses the key to the single biggest threat to the Union. 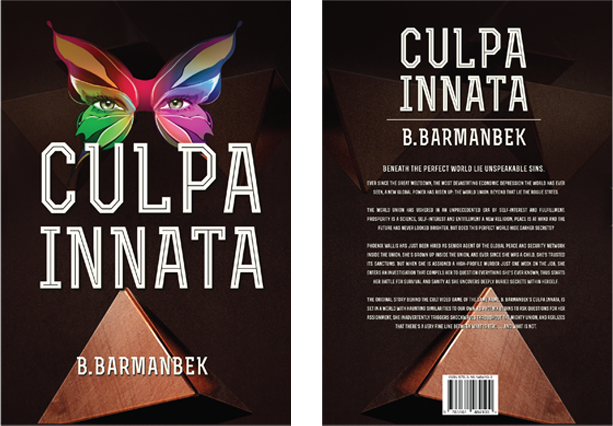 With adventure and science fiction appeal – as well the protagonist’s profound self-discovery – Culpa Innata is a book that will linger in the reader’s mind long after the last page is turned.